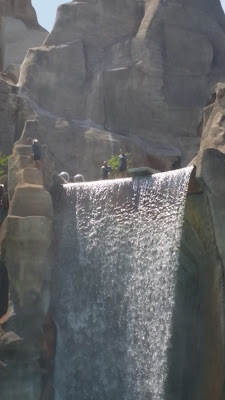 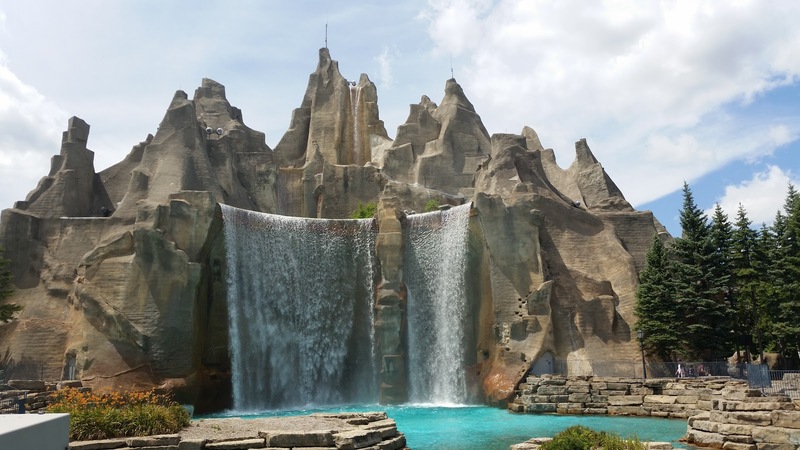 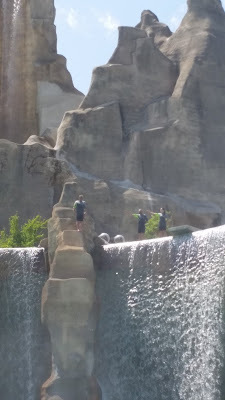 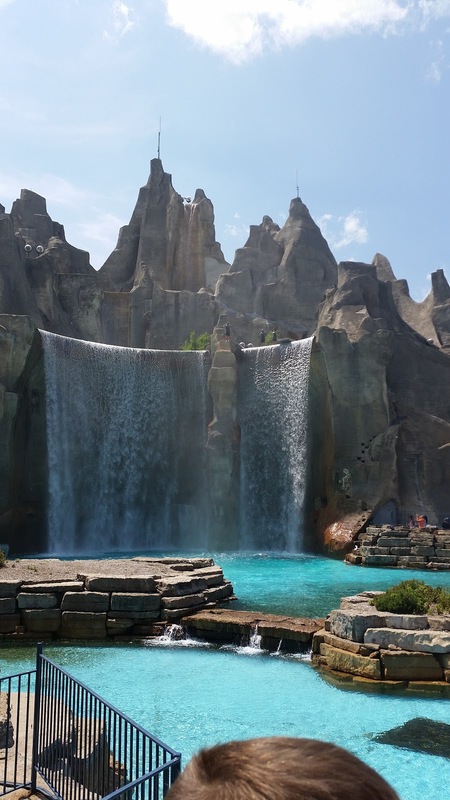 Three divers appear at the top of the waterfall, do some showmanship pointing and acting nervous, then leap off the falls into the pool below, flipping and twisting on the way down. It is a very short show; each diver just does one dive. We viewed it from the bridge facing the falls, but there are plenty of areas surrounding the mountain that looked like they would work just fine.